What do you know about Fine Art Shippers? We are a family-owned logistics provider specializing in shipping fine art and antiques of any kind. We operate both across the United States and internationally, serving art collectors, artists, galleries, auction houses, and other art-related businesses and institutions. In addition, our company offers a variety of fine art packing, crating, installation, and storage services to meet the need of any client. That’s all about Fine Art Shippers! However, did you know that we are also experienced art framers? We can frame absolutely any artwork, no matter big or small, and we can do it at a very attractive price! So what do you need to know about Fine Art Shippers as New York’s professional art framers? As it has been already said, Fine Art Shippers offers a variety of art handling and art shipping services both in the United States and abroad. 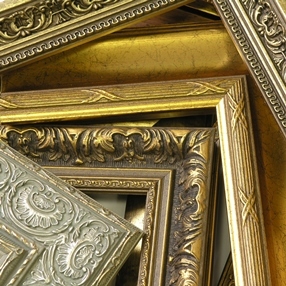 Now, we want to introduce our art framing services that we also offer in the New York metropolitan area. Our team of art framers has more than 20 years of experience making all types of frames for paintings, prints, and works on paper. In fact, we can frame absolutely any artwork in full accordance with the client’s specific design and color requirements while ensuring that our work is done in a timely manner and with the utmost care and attention to detail. Our quality is expert, and our prices are affordable, making Fine Art Shippers a preferred option for many art business professionals and individuals. It is needless to say that our art framers and not only true specialists in gallery framing and manufacturing custom picture frames for private clients, but they are also highly experienced in packing and shipping framed art of any size and shape. Thus, if you have a painting that needs to be professionally framed, packed, and shipped to another state or even country, Fine Art Shippers is the right place in NYC to come for help. We will do this work for you in the most convenient and cost-effective way possible! So, what do you know about Fine Art Shippers? We are an all-in-one solution for almost any art-related need you encounter! Call us today for any additional information about our art framing or other services that we have been providing in New York City since 1995!